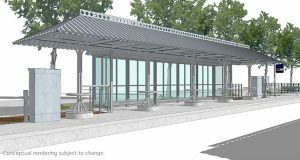 TriMet’s ongoing rehabilitation of our oldest MAX stations moves to Gresham, as we begin a full renovation of the Gresham City Hall Station beginning Monday, Jan. 23. The work includes safety and security upgrades, shelter renovations, new TransitTracker monitors, improved lighting, new tactile warning strips on the edge of the platforms and more. Beginning Monday, Jan. 23, riders will see some construction activity but MAX Blue Line trains will continue to serve the station. Construction zones will be fenced off and signs will be posted. There may be times during the work when crews will need to block access to some doors of the train. Riders will be directed to the appropriate exits away from active work areas. The improvements will require the Gresham City Hall Station to close entirely for six weeks from Sunday, Feb. 26, through Saturday, Apr. 1. During the closure, MAX trains will stop at the station for safety reasons but operators will not open train doors. Riders who regularly use the station are encouraged to use either the nearby Gresham Central Station or the Civic Drive Station (about 1/3 mile northwest of the City Hall station). Riders may also opt for the Civic Drive Station, about 1/3 mile northwest of the City Hall station. There is no park and ride at Civic Drive, however, a walking path on the north side of the MAX tracks connects the Gresham City Hall and Civic Drive stations. 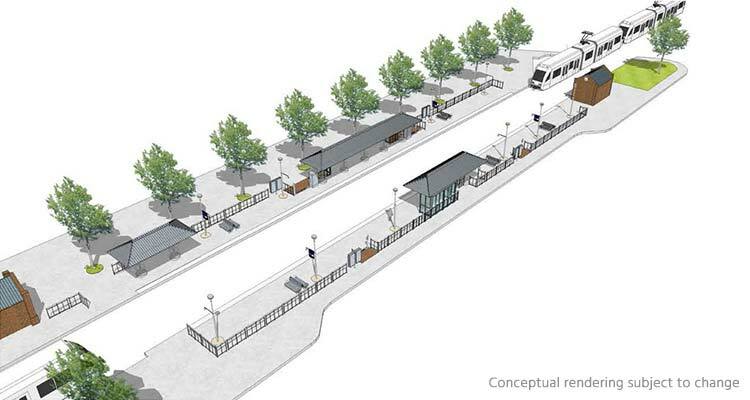 Crews expect to complete the Gresham City Hall Station improvements in early summer 2017. TriMet thanks riders for their patience during the project as we work to make their experience and our transit system better. Learn more about our Making Transit Better improvements.